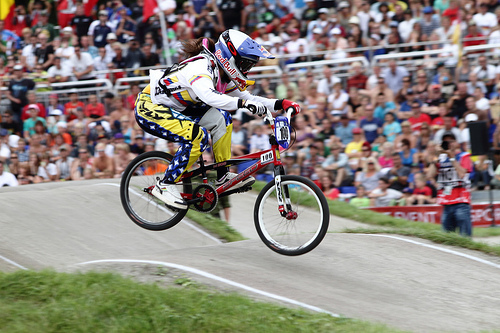 The World Champion BMXers have made a real statement over the last couple of years. Before, there were just a few riders competing, striving for a place in the spotlight, but the field has widened a lot over the years. Competition to get to the top is fierce and riders have come from all across the globe to join various events building up to the Olympics. 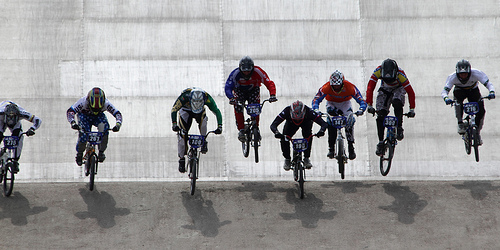 In fact, BMXing will make its second appearance at this prestigious event in 2012. 2011’s most elite riders were: Jorsis Daudet (France) Maris Stormberg (Latvia) and Marc Willers (New Zealand) who have all placed in international events and spent time being loved by adoring fans last year. 2011’s most elite women were Mariana Pajon (Columbia) Sarah Walker (New Zealand) and Magalie Pottier (France). All eyes will be on the Olympics from now on. The weekend hosts a Supercross in New Zealand, which has been recently established, but Marc Willers who was a runner up as one of the BMX World Champions will be missing. He will be at home in California and similarly, Sarah Walker won’t be competing. However, Kurt James, Daniel Franks and Nick Fox will be leading the way. The Australians Josh Norton and Josh Callan will also be taking part. In Britain, mountain bikers are just as eager to participate in various events in preparation for the Olympics. 750 riders head off to Manchester for trial racing. Riders are able to get points for the World Championships from these preliminaries so participation in this event is very important. In Olympic cycling, 4 medals are allocated to mountain biking. The next preliminary event will be hosted in Norwich on the 12th of February, followed by another event the next round in Manchester, which takes place on the 19th of February. 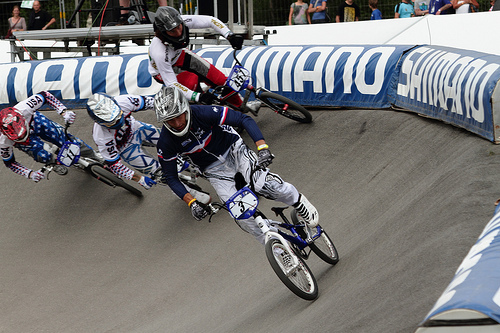 Meanwhile, there’s some sad news too as 2011 saw Martii Kuoppa resign from BMXing, leaving a giant gap in his wake. He will therefore not be riding at the next X games or the Olympics. Martii, who was commonly revered as a pioneer in modern flatlanding came onto the scene in the nineties and continued to push boundaries until he felt he’d achieved everything he could. Kuoppa told reporters that he’d done everything he could do at this point and felt that the last two years had seen him reach the pinnacle of his long-term BMXing career. Otherwise, a whopping $40 million has been put in over the last four years to promote various regional events, funded mostly by Royalties for Regions as well as Eventscorp’s. Without funding and sponsors like these this event would not be possible. While development and recognition is at an all time high for some of our favorite BMX celebrities, we can only wait to see what this year’s big events have in store. Whilst riders were down under, deep in concentration, Americans were flying in the air, over ramps in full competition, getting ready for the World Champions as well as the Olympics. Every point counts in situations like these. This entry was posted in BMX, Land Sports, News and tagged BMX, BMX News, Olympics. Bookmark the permalink.